Affinity Mentoring approaches mentoring by finding people who really have something to give, with children in the community who are most in need of support. The organization has a solid vetting process for volunteers and then makes sure those volunteers know what they’re doing. Mostly, they listen, help with homework, and play with their child mentees. But it’s so much more than that. The proceeds of our car donation program supports our own mentoring efforts, so we appreciate it when we see another organization doing mentoring on such a high level, it’s almost art. Maybe it even IS art. At any rate, we were pleased to give this organization a small grant. 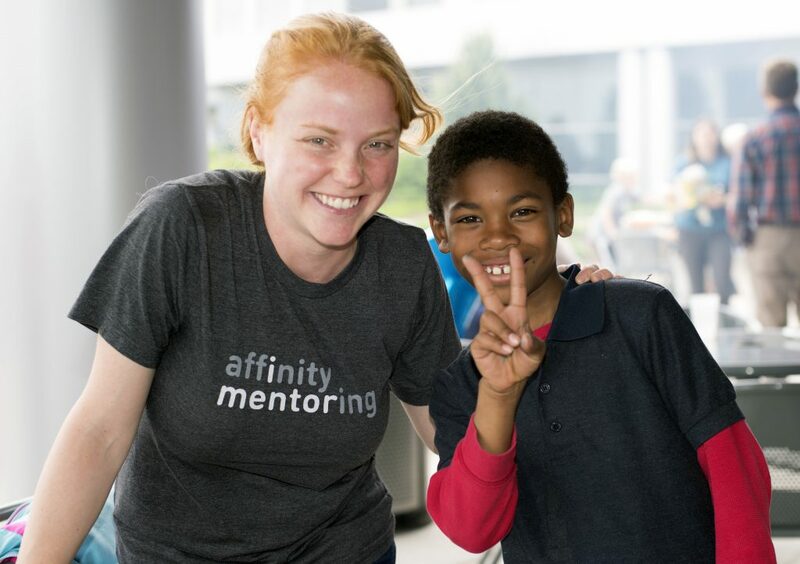 Here’s our interview with Affinity Mentoring Development Director Rachel Lopez. We hope you’ll enjoy reading about this fine work! Kars4Kids: Your website states that mentoring is a “mutually beneficial experience.” How does mentoring benefit the mentor? Rachel Lopez: Our model is unique, we partner with organizations, schools, corporations, and individuals to provide high quality, culturally responsive mentoring to school-age children. Each partnership is developed to meet the needs of the students as well as the needs of the partner. We find that our mentors go back to work feeling re-energized, less stressed, and with an improved overall sense of well-being. Not only do our mentors get to “be a kid” for an hour but they also report feeling better knowing that they are making an impact in their community. Many of our mentors come from our business partners and they carpool with other employees on their lunch break to mentor. They not only feel more connected to their respective students, but also to their own organization. It helps develop a deeper sense of belonging and purpose. 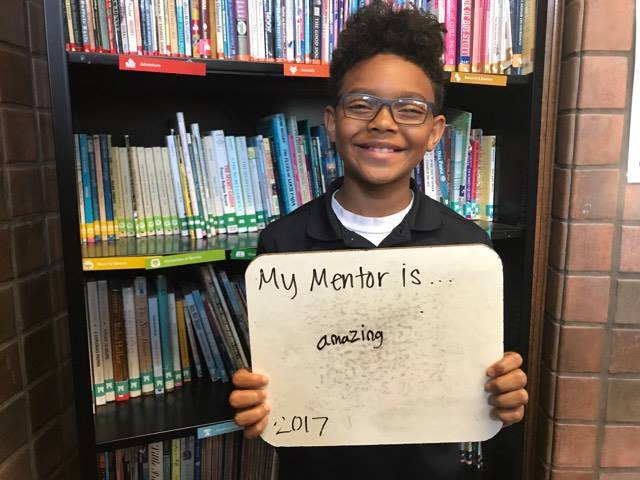 There’s also mutual learning, our mentors report having an expanded worldview and change in perspective as they get to know our remarkable students, their resiliency, and their strength. Kars4Kids: Can you tell us about the training process for mentors? Rachel Lopez: A lot goes into the pre-match process. First, we build partnerships with area businesses and organizations to recruit volunteers from all backgrounds in order to be able to serve the unique needs of each partner school. Furthermore, all mentors are screened and trained in accordance with best practices [including an application, interview, multi-state background check, 2 references and 3-hour pre-match training]. Once matched with a student our mentors have access to staff support whenever needed. We provide ongoing training, resources, and support throughout the year. Each week mentors complete weekly progress reports where they can seek additional resources and guidance when needed. Kars4Kids: What can you tell us about the matchmaking process? How do you match a mentor with a specific child? Rachel Lopez: Matchmaking is a little bit of science, a little bit of gut feeling, and A LOT of experience. We’ve been doing this for over 16 years. Through our interview and screening process we get to know our mentors, and through our partnership with the schools we get to know our students (including contact with parents, teachers, and the students themselves). We take into account personality types, background, language abilities (if they are bilingual), experience with mentoring, interests/hobbies, and we try to find commonalities or specific qualities that we believe will meet the needs of each individual student. It takes a lot of time and experience, but you can see it pay off with our 95% match retention rate (vs. 50% national average). Kars4Kids: Has it ever happened that the mentor/student relationship doesn’t click? What happens then? Rachel Lopez: It doesn’t happen very often. Every once in a while we have a student who decides that they’d rather not have a mentor—typically middle schoolers who are having difficulty juggling school and extracurricular activities. It is rare that the relationship does not work out. The majority of the matches that close do so because someone moves away—not because it’s not a good match. Kars4Kids: Tell us about the Closure Conversation that occurs at the end of the mentoring period. Rachel Lopez: Research in the mentoring field is pretty clear: all matches will end at some point, most people are pretty bad at saying goodbye, and closure is super important for both mentor and mentee. So, we have built-in training about this with all mentors at the beginning of their match and support for mentor, mentee, and parent along the way. Every match that closes is invited into a closure conversation where a staff, mentor, mentee and parent (if available) discuss why the match is closing, address any misunderstandings or concerns, and what comes next, and then celebrates the relationship and accomplishments from their time together. 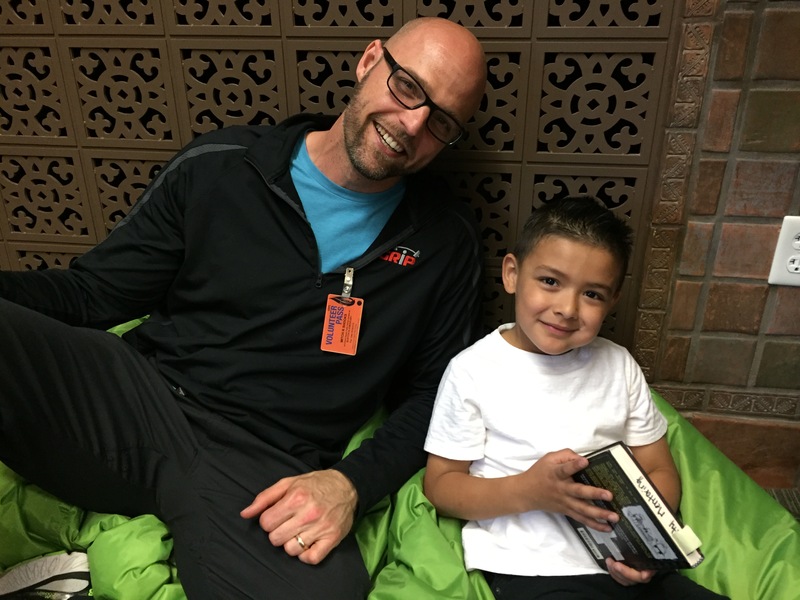 Kars4Kids: Your mission statement says your program is meant to “interrupt the cycle of poverty.” How can mentoring a child in say, first grade, for a single hour each week, make that much of a difference? Rachel Lopez: Our vision is that every student should have a caring adult mentor to help improve academics, social-emotional skills, and self-esteem. A small gesture of one hour a week makes a big impact for that child. During that hour the mentor is a role model, tutor, career coach, and friend. However, we invest much more as a collective than in that one tangible mentoring hour. Our bilingual and highly qualified staff “mentor the mentor” and work together with teachers and school staff to support the mentor match. We have a comprehensive evaluation plan that assesses program quality, developmental assets, attendance, and academic achievement. Better attendance – mentored youth are less likely than their peers to skip school. Better chances of going onto higher education. Better health – mentored students are 46% less likely than their peers to start using illegal drugs and 27% less likely to start drinking. Better relationships – and the results of this can be seen at home as well – as mentored youth tend to trust their parents more and communicate better with them. When students excel in school and have a sense of purpose and belonging, they will reach their full potential—get an education, a good job, and a strong network that will propel them to a higher socioeconomic status. Kars4Kids: Your website states: “52.9% of youth in Kent County claim that they do not know any adults in their neighborhood with whom they could talk about something important.” What’s an example of something important a child might speak to a mentor about? Rachel Lopez: For one hour every week our students have the undivided attention of a caring adult. We find that our students love having someone that asks “How was your day?” or “How’s your family?” – the relationship is built on trust and respect and driven by the student’s needs. The mentor is there as a champion and supporter. What qualifies as “important” to our students varies—it could be that they are struggling in math, being bullied at school, or that they are unsure where their next meal is coming from. We support our students holistically, partnering with the school and local resources to ensure we lift up the student along with their family when it comes to mental health, wellbeing, and meeting basic needs. Kars4Kids: Do you run into situations where a parent fears enrolling a child in the program, worried social services will meddle in family life? How do you handle these situations? Rachel Lopez: We do not often run into situations where parents are concerned about their participation in our program. In fact, most of our recruitment is through word of mouth of participants. We currently have over 130 students on our waiting list and seven schools requesting our services. There is a high demand for mentoring and specifically for our programs in our local schools. We are deeply embedded in the school community. We have longstanding partnerships with school staff and our families. We have a Mentor Center in each of our partner schools and our staff are all bilingual, and have backgrounds in social work, education, and/or community engagement. Kars4Kids: What’s next for Affinity Mentoring? Rachel Lopez: Right now we are working on strengthening our current sites and expanding our capacity to serve more schools. We are building more community partnerships and gearing up to open a 4th site in the next few years.